The political turmoil began on Friday, when Sirisena withdrew his United People’s Freedom Alliance (UPFA) from the ruling coalition, led by Wickremesinghe. Later in the day, Sirisena fired the four-time prime minister and replaced him with Mahinda Rajapaksa, a former president accused of corruption and human rights abuses, in a rushed ceremony in Sri Lanka‘s capital, Colombo. Amid the uncertainty, Pujith Jayasundara, inspector general of police, cancelled police leave “until further notice” and deployed additional officers to patrol the streets of Colombo, which remained quiet throughout the day, except for the occassional celebratory firecracker from Rajapaksa’s supporters. Supporters of the former president in the country’s south also held rice-pudding feasts to mark his return. Wickeremesinghe met with diplomats from Western countries at Temple Trees late on Saturday. China’s envoy, who had sent a congratulatory message to Rajapaksa, had also called on the sacked prime minister earlier in the day. 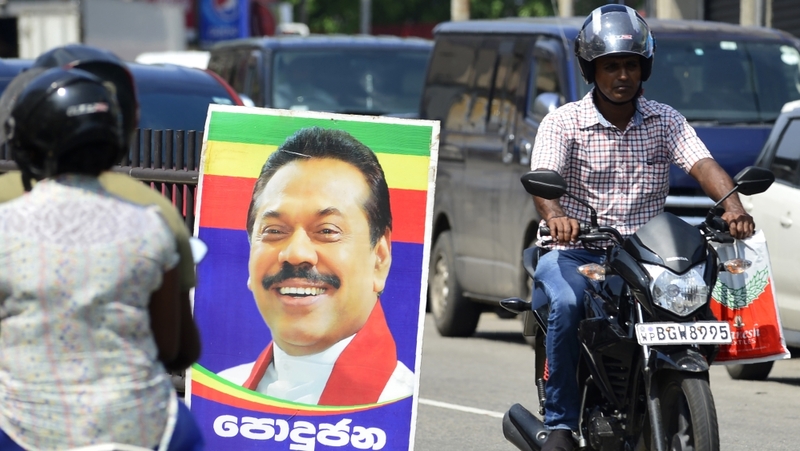 After his party’s strong poll showing, Rajapaksa said the ruling coalition has lost its mandate to govern and called for snap elections. The call was rejected by Sirisena and Wickremesinghe, but relations between the two continuted to deteriorate.